Lefton china dates back to 1939 when a Hungarian immigrant arrived in Chicago and began importing china from Japan into the United States. Following World War II, this porcelain became even more popular because it looked expensive, but was usually very affordable. Identifying authentic pieces is important if you want to collect Lefton china. Choose what type of Lefton china you plan on collecting. The company makes quite a few types of china such as figurines, holiday pieces and traditional decorative pieces such as plates. Within the figurine category, you’ll find birthday pieces, girl figures, boy figures, couple figurines and many others. Decide on the pattern to collect, if you plan to collect decorative pieces rather than figurines. Most of the patterns were named after the dominate color in the set such as Brown Heritage, Green Heritage and Violet Chintz. You’ll also find Festival, Forget Me Not Blue, Heavenly Rose, Heirloom Rose, Lilac Chintz and several other patterns that used pale pink or purple. Date your pieces by looking at the bottom and the identifying mark. Until 1950 the company used an image of a man riding a horse and then switched to the company name and "Made in Japan" until 1953. 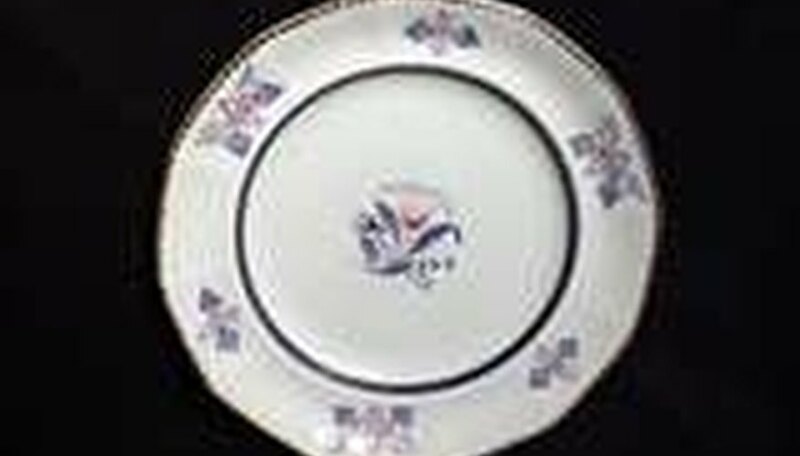 In 1955 the company began using the Lefton China name on all pieces, with a crown above the name, which is still used today. Buy Lefton pieces only if the pieces are in good condition and free or chips or dings. The condition of the piece determines its price and value. Even a small chip automatically reduces the price of the piece and serious damage such as a crack can make the piece sell at half its value. Shop for Lefton china from antique shops and antique shows. Shopping in traditional stores, rather than online, is important when you first start collecting. You need to see the mark on the bottom, examine the entire piece for damage and check the colors, which you can’t do when shopping online. Some online retailers are now offering Lefton china catalogs scanned into an electronic document. This is worth the investment because it gives you easy access to all the pieces made by the company. You can check for pieces you own and determine when the piece was made. Lefton china is still made today and under the same name. Keep in mind that a piece may be modern and the only way to tell the age is to identify the mark on the bottom.